Steve Earle keeps country music dangerous and weird in a sea of mediocrity. As country music gets smoother, more polished, and (shock!) poppier, Earle embodies the sentiment of making country music the white man's blues. It retains the attitude of the '70s country revival with twangy steel guitars and loud electric guitars crying out, while keeping the sincerity of the form with lyrics that couldn't have been written by anyone other than a grizzled 62-year old. 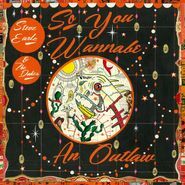 So You Wanna Be An Outlaw is a sincere, low key work that is filled with catchy melodies that contrast against lyrics filled with self-loathing and a bit of anger directed at people younger and prettier than Steve Earle. His music has this gritty experience and wisdom that comes from a life full of mistakes and vices. The title track feels like an ironic statement from a bitter old man directed at men a fraction his age. The jaunty, classic country atmosphere with jamming fiddles, grimy guitars, and a boot stomping rhythm are a cheery contrast to his lyrics that scold the criminal intentions of young people. It's not a ballad to lost youth, but a warning to these types of mistakes. "If Mama Coulda Seen Me" and "Fixin' To Die" is a double hitter of old style tracks about the consequences and lifestyles of all-American roughnecks who are fueled by recklessness and alcohol. "Mama" is a dancey number written from a convict's point of view while behind bars, but "Fixin'" is almost violent with his dried voice and guitars ripping through the sound barrier. For a man who's been sober for 22 years, the performance of "Fixin'" sounds like it was done by a man drunk and at the end of his line, but it's just pure, teetotaling rage. 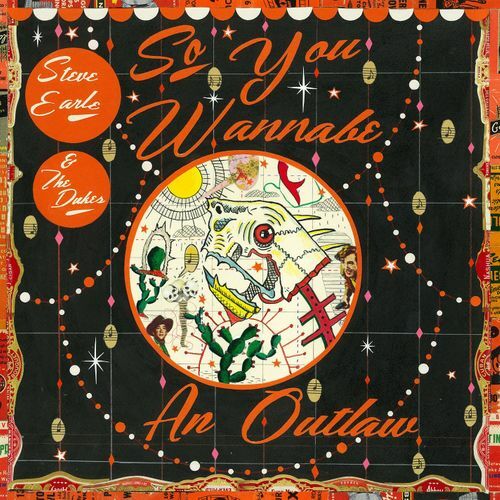 Steve Earle's album is more exciting and raw than what most people half his age are producing nowadays. So You Wanna Be An Outlaw is something of a modern masterpiece.